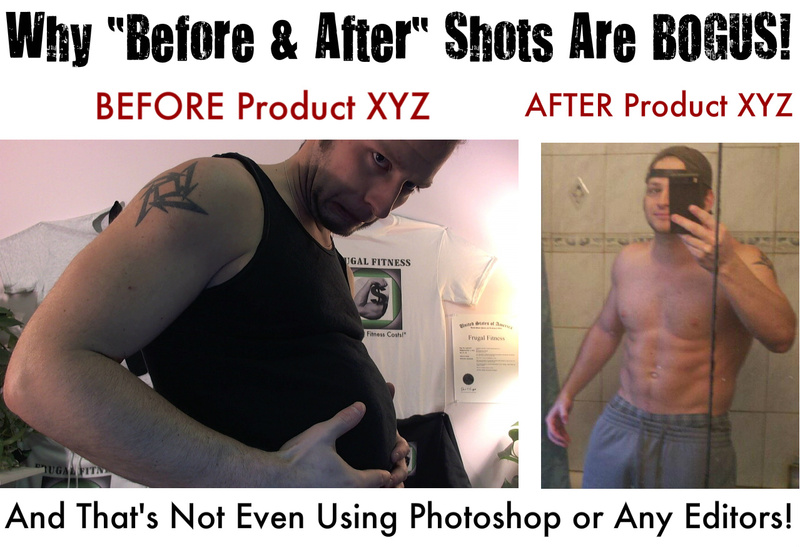 The fitness industry is full of false promises. And, in this growing world of health and fitness, there has never been so many people selling snake oil as there are right now. As someone on the outside of the industry – who just wants a rockin’ body – it’s hard for you to know what’s good, what’s bad and what’s downright ugly. You’ve probably got some half empty containers of the latest protein powder or hottest BCAAA's supplement in your cupboard right now, and not even the slightest improvements or results to show for it, right? Not to mention the stack of online PDF’s of the supposedly "best" workouts to sculpt that perfect booty even though they never did anything for you. Don’t fear though, because I’ve got you covered. This simple and easy to use checklist is your new guide to the murky waters of fitness products that can be applied to both workouts and supplements. Print it out. Ask the questions. And if you don’t like what you see, don’t buy it. Simple, right? #1: Is it too good to be true? #2: Does it claim to have fast results? Get shredded in four weeks. Lose 60lbs in 30 days. The 28 day diet plan that will change your life. We’ve all heard these. Even though they are catchy, and they tell you exactly what you want to hear, all of them boil down to one thing: pure BS. Becoming fit is a marathon NOT a race. The REALITY is, getting results can take months and, sometimes even a year before you see any MAJOR changes to your body. So just enjoy the process because it’s going to take time, intense effort and proper nutrition for you to “get ripped.” No supplement (even steroids) is ever going to change that. #3: Is it backed by science? Unfortunately, this point is often overlooked by many people. Are there any links on their site to a reputable journal? Do they at least have a legitimate client list where you can see the results they’ve mentioned over and over again? Admittedly, there is room for ‘anecdotal’ evidence, however, if they don’t have any proof, other than a stock photo of a shirtless guy, then it’s more than likely not going to do you any good. #4: What are their testimonials like? That is NOT a testimonial. That’s their web developer filling in a blank space. A proper testimonial has results, it has a story and any salesman with integrity will back it up with progress pictures. Here’s what you DON’T know about testimonials. Many of them are fake and/or paid for, so before you make that a reason to buy, do more research on the product FIRST! #5: Is it backed by a reputable person? Does an industry professional – a bodybuilder, nutritionist, strength coach or anyone with an influence – openly endorse this product? Unlike Shaq, they won’t risk their reputation peddling really bad products. So it pays to see if there is an endorsement or a quote from someone who really knows their stuff. #6: What comes up when you Google it? Reading reviews on a product should be a no-brainer, but as we mentioned earlier, they shouldn't be your only source of research. Instead, checking out forums to find out if a product works is your best bet. Much like testimonials, someone can easily BUY good reviews, however, they CANNOT buy reviews within an online forum. Bodybuilding.com and Men’s Health are my favorites. If you Google the product and it comes up with nothing but bad reviews in the forum comments and people absolutely slamming it, then you know exactly what you’re dealing with.